No one wants to be involved in an argument with a supervisor or co-worker, especially on public display. But a recent survey by Fierce, Inc. showed that 30% of the 1,000 professionals surveyed conflict with co-workers or supervisors at least once a month. 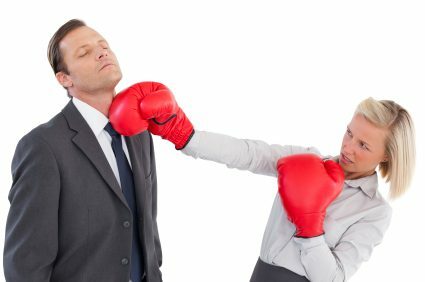 While a peaceful disagreement may bring up valuable discussions, some conflict can be detrimental to the workplace. Can you force employees to be nice to each other? How do you get them to WANT to be nice to each other? Healthy, conflicting ideas can be helpful to your business. Having multiple opinions can be exhilarating – prompting exciting discussions and ideas. But your employees need to understand how to effectively communicate with each other in order for those types of discussions to happen. Communication is only constructive if we are all using a common language. If you think you may have a communication problem or want to be proactive in establishing a positive workplace culture, you should really try out Everything DiSC Workplace® profile & training materials. Everything DiSC offers employees of all roles and departments a common language of respecting and working effectively together. What’s more, our profiles are online and only take about 10-15 minutes to complete. Turnkey facilitation materials make it easy for anyone to conduct a customized workshop, and complimentary supporting reports help you get more information for less money. Try an Everything DiSC Workplace profile today!